Buying silver online is very convenient for most people but in some capacities it cannot beat making a purchase in person. In fact, one of the best ways to buy silver in person is to visit a coin show. If you want to view a large amount of bullion, including silver and gold, in one place at one time, then you should keep up to date with the coin show schedules in order to attend one that is coming to a town near you. If you are unsure whether visiting a coin show is the right choice for you or not, then this guide to buying silver at a coin show should help you decide. One of the best reasons for visiting a coin show, even if you aren’t completely decided upon making a purchase or not, is the opportunity to view products from many different dealer and sellers, all in one place. This is probably the best chance you will get to view such a large range of silver in one go. Due to the wide selection of goods on offer, making a decision on what type of bullion is best suited to your investment budget is a lot easier. At a good coin show you will find not only coins but many other forms of bullion such as bars, rounds, junk silver and precious metals in many other forms. Despite their name, these shows are not just for those collecting coins with numismatic value, but are also for collectors and investors in many other commodities. 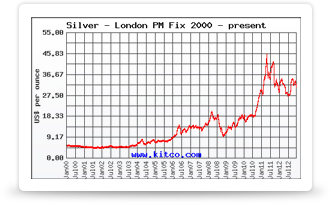 Another good reason why you should visit a coin show when thinking about investing in silver is that the prices of the bullion can be some of the lowest available. Because some dealers choose not to apply sales tax to their transactions, you get all the advantages of making an online, out of state, purchase which avoids sales tax, without having to pay any online payment processing fees or shipping and insurance charges, as is common when shopping online. As well as having access to a large range of products and the chance to get them at low prices, another reason why visiting a coin show is a must is that it can put you in touch with other people in the trade who can help and advise you on investing in this way. This can range from financial advisors knowledgeable in the area of investing in precious metals, to other vendors that supply related services and accessories, such as home security deposit boxes for storing your silver. If you go to a coin show without much knowledge of the current prices of silver and other precious metals, there is a chance you could end up overpaying for your purchases. As it is easy to get overwhelmed by the amount of silver and gold on display at such places, especially for those new to this type of investing, you could end up either buying more than you were planning to, or spending more than you intending to. Without doing any research beforehand, you could make uninformed decisions on the day, and end up paying more than you should for a coin or bar that is unfamiliar to you, but seemed like a good deal at the time. Often the goods sold at coin shows are sold as seen and there isn’t an opportunity to change your mind at later date. The motto here is ‘buyer beware’ so keep that in mind when approaching any possible transactions. Coin shows are fun events and a great day out for anyone with a passing interest, or more, in coins, bullion and precious metals. Just make sure you don’t take more money than you can afford to spend with you, and that you do some basic research beforehand, in the current prices of gold and silver, and how much popular items are presently selling for online.